Instead, I found this pic of Tom and his son Jack hanging out on Father's Day and would much rather post this instead. PS. Gisele is supposedly pregnant with Tom's second kid. If you google it, I'm sure someone will have all the facts for you. 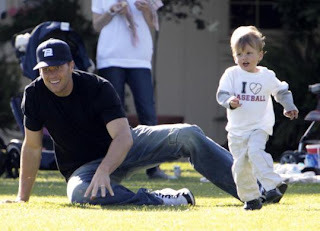 0 Response to "1000 Words - Tom Brady & Son"